I got some highlighters from Amazon the other day. It was an add on item to get free shipping, but I own one swing highlighter and I really like it and it’s drying out. Hence the reason for ordering more. These little guys are very portable and fit well in the hands. 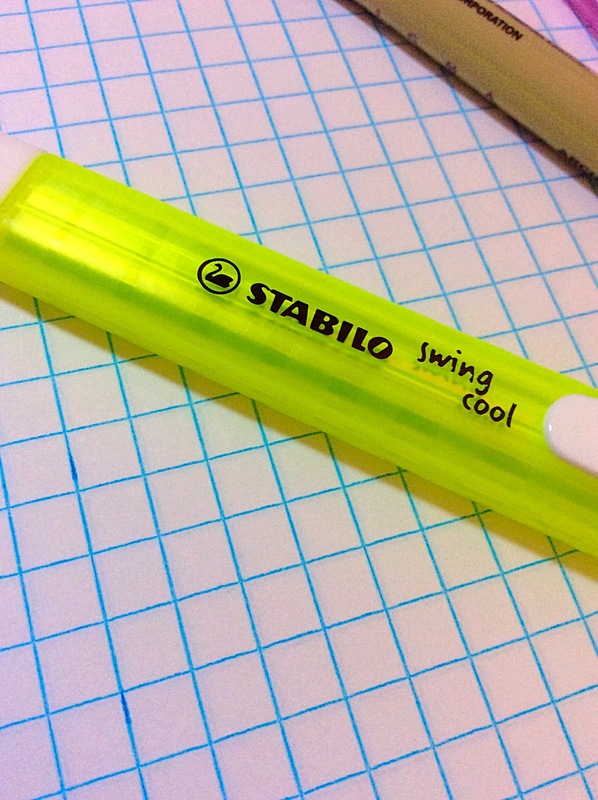 At 5 inches the swing cool highlighter is full size, but not bulky, like a lot of marker style highlighters seem to be. They are made of thick sheer plastic and the ink cartridge made of silver metal is visible. I like this feature because it gives the illusion of the marker being glittery. It has a standard chiseled marker tip. Here is plastic body. You can see the innards of the marker. The clip is made of durable plastic goes around the entire top of the pen. You can easily post the cap and it stays on securely. I tried the markers on several pens and didn’t see any smearing– something rare when using marker style highlighters. I did not try them on fountain pen ink for several reasons: the paper I was using is not at all fountain pen friendly and I don’t want to booger up my marker tips with ugly ink. 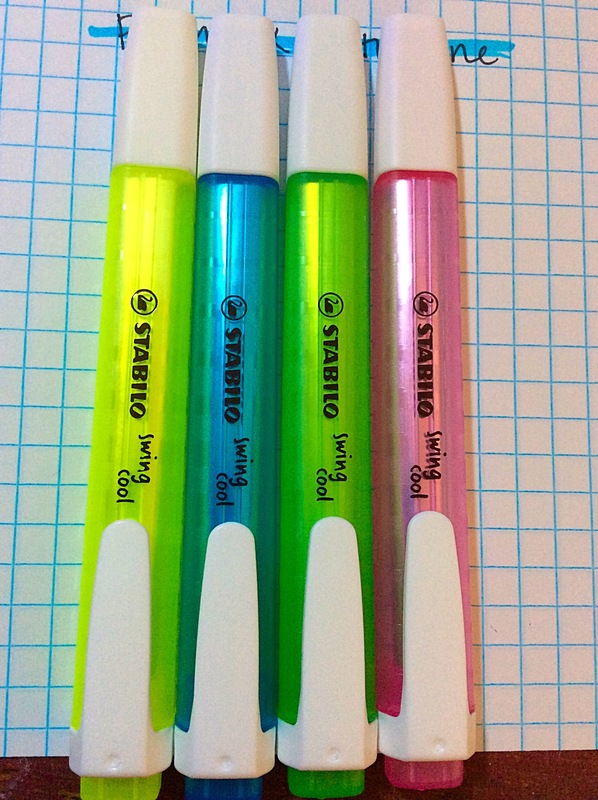 I paid roughly four dollars for this four pack if Stabilo Swing Cool WOW highlighters. 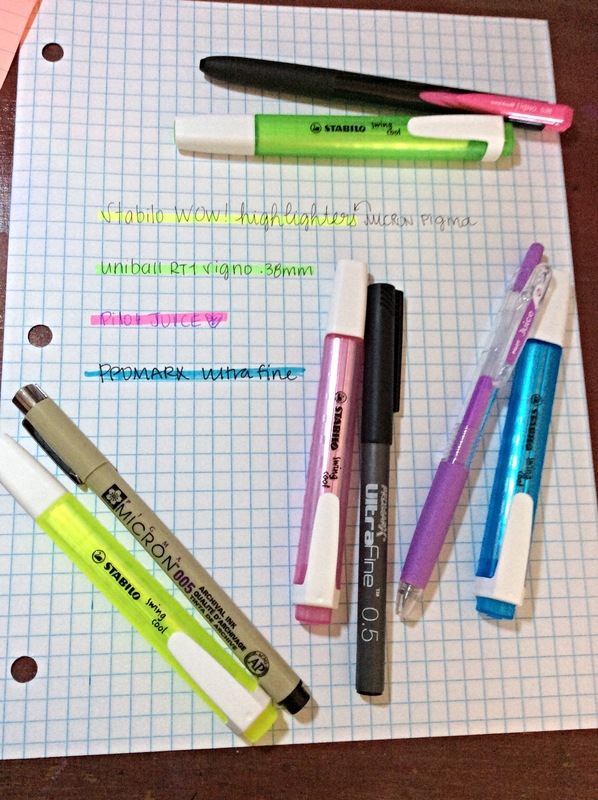 If you’re a student or a person that loves to highlight (like me!) these little guys are perfect! 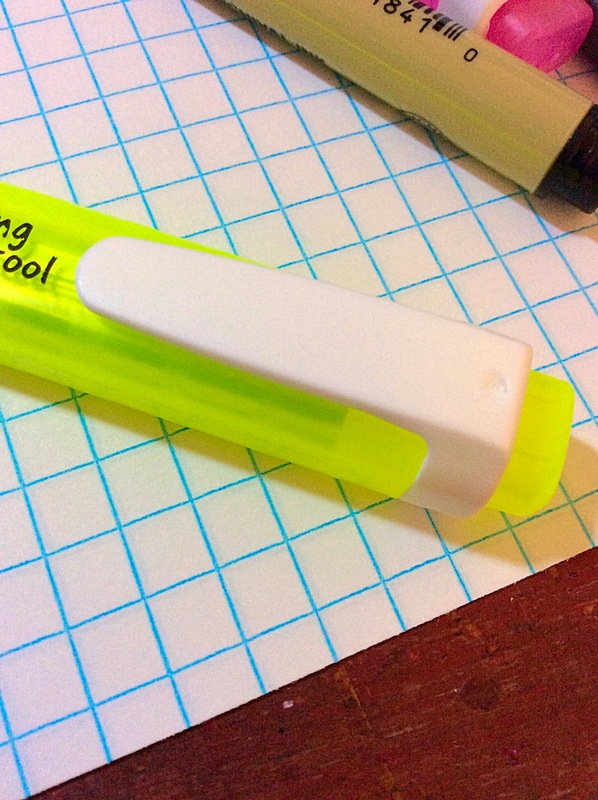 For either travel, EDC, or home use, the Swing Cool highlighters are a great buy! Every once in a while the dollar store (aka “The Tree”) will have an awesome office supply product that out performs its price. Such is the case with the ProMarx Ultrafine signature pen in 0.5mm. I picked these up because I was too poor to buy the Pigma Micron markers and I really needed a pen for note taking. However. I discovered that Michael’s sells Pigma Micron markers in SINGLES for less than two dollars, so I ended up picking up a single 005 pen and the ProMarx pack got stashed in my surplus drawer. I was curious how this guy writes. I mean, I would only be out a buck if it turned out to be garbage. What could I possibly lose?? Or more importantly– what could I possibly gain? Turns out, I gained three pretty awesome fine liners for cheap. 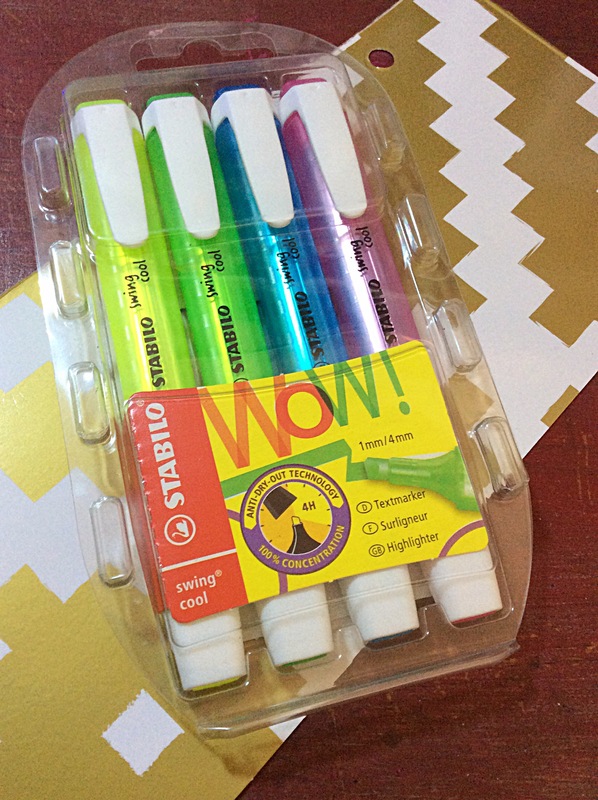 They dry fast, write smoothly, feel great in the hand (despite the obviously cheap plastic body), and work well with both gel highlighters and standard marker highlighters. My biggest question was: does it write on onion skin paper? YES! Yes it does! Quite well, as a matter of fact. Just as well as the Micron Pigma. For an easy buck, this three pack of 0.5mm Ultrafine markers are definitely going to be in my go-to tools for note taking, journaling, and bible study. If you have a Dollar Tree near you, I highly recommend “splurging” and picking up a pack! I got a surprise package in the mail today, which I can only assume was my dad. Although he hasn’t owned up to it, I’m grateful all the same! My entire family has been super sick, except me and my six year old, so getting this surprise gift in the mail made the last several sleepless nights a thing of the past. It’s amazing what something unexpected and appreciated can do for one’s moral! I’ve only scribbed a tiny bit with it, but already I prefer it to my Eco. I prefer shorter pens, like the Kaweco Sport. It is a F nib, which writes a lot like a medium nib. The ink flows quick and smooth with zero feedback. The cap screws to the body of the pen both for posting and closing. For a small pen the reservoir is massive. I cannot wait to add this to my daily rotation! 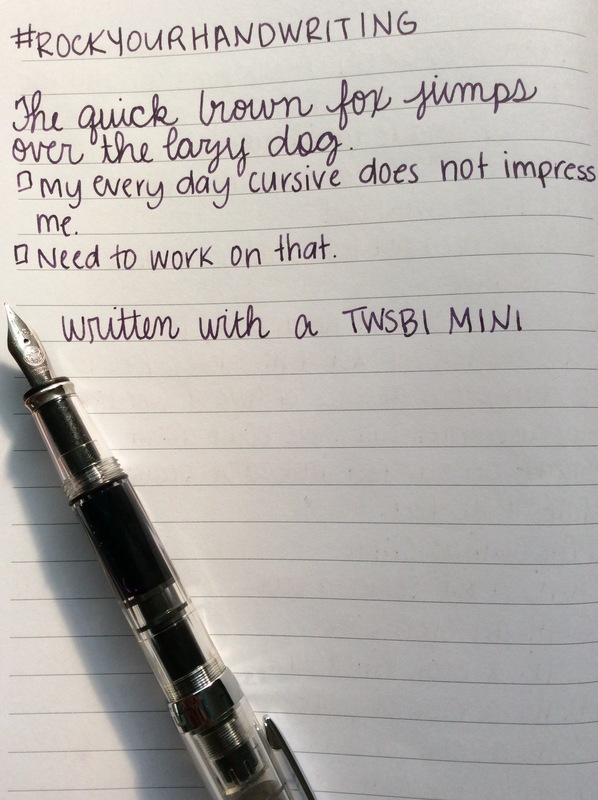 I know I’m late to the TWSBI mini party, but I’m glad I could attend! My Decomposition Books came in today via Amazon. I ordered “Dinosaurs” and “Pegasus” because that’s really all that was available on Prime. However, if you hit up http://www.michaelrogers.com you can see all the awesome products this family run company (since 1949!) has to offer. The inner covers are super cute. They look doodled on and have some interesting commentary, notes, and facts. The covers are durable (like an ultra grade composition book) and they are bound in the classic way: tape and string. It’s pretty standard for a composition book. 80 sheets (160 pages), college ruled, 7.5″ x 9.75″, and made in the good ol’ USA. The pages are made from 100% post consumer waste recycled pages and they use soy ink printing. I didn’t expect this paper to be fountain pen friendly. It’s a soft paper that just feels as if it is going to slurp up ink. However, even the Pentel Rolling Writer, which is just a basic felt tip pen, still bled and feathered. The only pens that wrote decently on the paper was the Pilot Down Force, probably because it’s a ball point. The Uniball RT1 wasn’t awful, but you wouldn’t want to press down too hard or let your point linger after writing. That being said, these notebooks are pretty durable, and pretty! I like the uniqueness of the design and the utilitarian feel of the material. I might not be able to use my fountain pens or markers, but I can still scrib on with a pencil, ball point, or fine tip gel. There’s something about a decent gel pen that just makes me fall in love with office supplies all over again. Just when I think the basic pen is bo-ring, along comes something like the Pilot Juice that rekindles my love for pens. The Pilot Juice is a gel ink ball point pen that is aesthetically pleasing as well as super comfy! The ink is vibrant and even. I’m really digging the clicker and clip on these pens. They are super durable and if you’re anything like me, you’ll love the clips! I love to clip pens to my shirts or inside of bags so I won’t lose them. The Pilot Juice has an ultra durable spring loaded clip. The barrel of the pen is clear plastic, allowing the color of the ink to show through. The bottom of the pen is a plastic grip matching the color of the ink. It’s a soft gel type plastic that even the sweatiest of hands will enjoy! These pens are .5mm and just right for long writing sessions, note taking, or color coordinating. They’re also bright enough to use on black paper or cardboard– the colors really do pop! I purchased the six pack of pens at Amazon.com, but JetPens.com also carries the Pilot Juice line. At JetPens you can buy them as singles or in packs. I received my TWSBI Vac 20A Ink Bottle in orange today from Goulet Pens (.com). I have been keeping my eye on this ink well for quite some time and everywhere I looked it was sold out. Finally, Goulet Pens got them in stock and I got to pick up one in orange to match my TWSBI Eco. 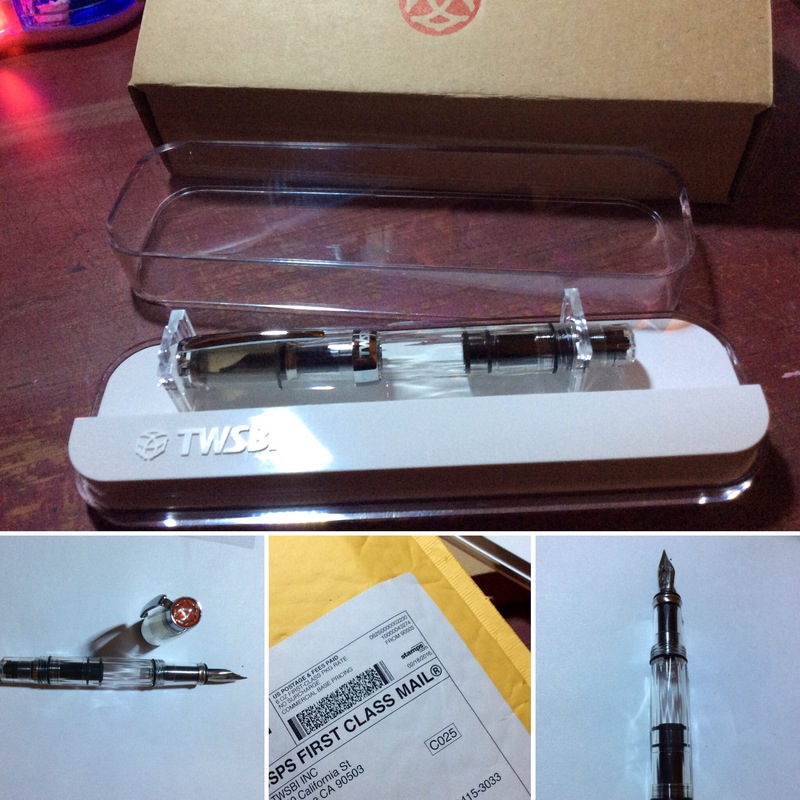 It comes packaged in a minimal brown cardboard box with the TWSBI logo on the top. Inside the box is the inkwell, nestled nice and snug. It’s a decent sized portable ink well. My guess is about 2-3 fills for the TWSBI Eco. 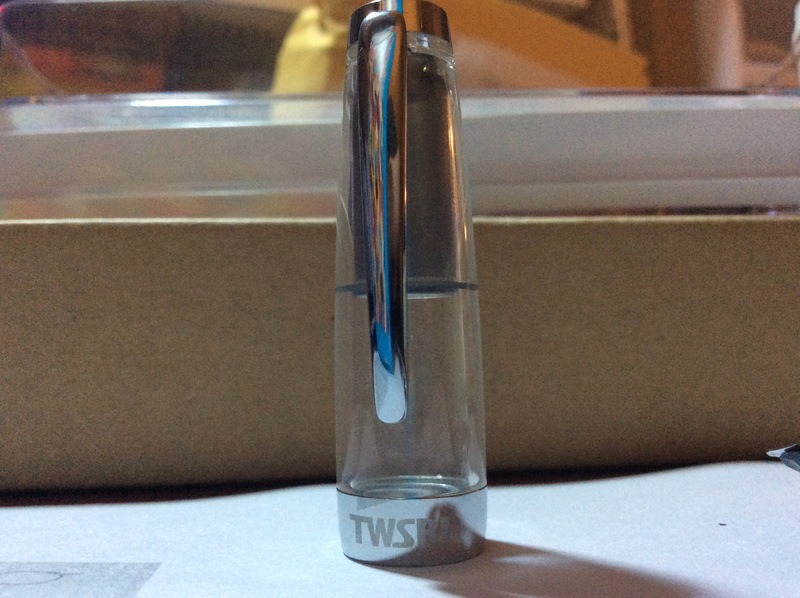 It disassembles simply and the TWSBI Eco fits nicely into the top. You can use other pens as well, just remove the main top compartment and any pen can be filled. 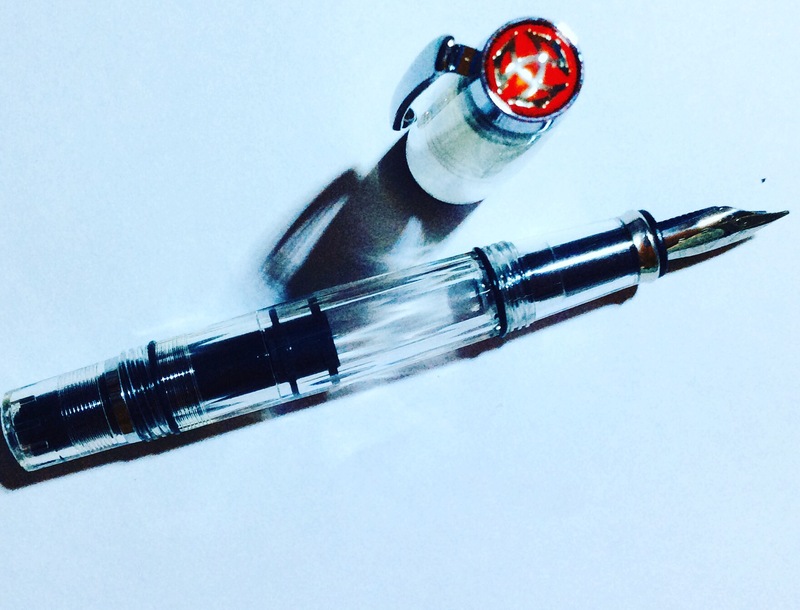 Pictured in the ink well is the TWSBI Eco. Although the site did not list the Eco as one of the pens that would fit, the Eco fits securely and should be easily filled. I can’t wait to try it! I just need to use all of the Violet Vote I loaded into it the other day! My TWSBI collection so far. Slowly but surely I am picking up TWSBI pieces. I still need to get the mini and the large ink well. Using several Platinum Preppy fountain pens and a Pilot Kakuno with a Plumix italic nib, I am using these pens as highlighters for bible study. The fountain pen nib is smaller and more precise for underlining rather than highlighting the entire word. I am using Platinum highlighter refill ink cartridges made for the Platinum highlighter pens. The cartridges fit the Platinum Preppy pen and the highlighter ink doesn’t clog the nib or feed. I am using the Pilot Plumix italic nib (right) in my Pilot Kakuno fountain pen with Noodler’s St. Patty’s Eire green highlighting ink. I filled an old pilot cartridge using a syringe. The nib is PERFECT for both highlighting words and underlining. The ink is subtle. You can see the difference between the Noodler’s ink (green) and the Platinum ink (orange). The Platinum ink is extremely fluorescent! 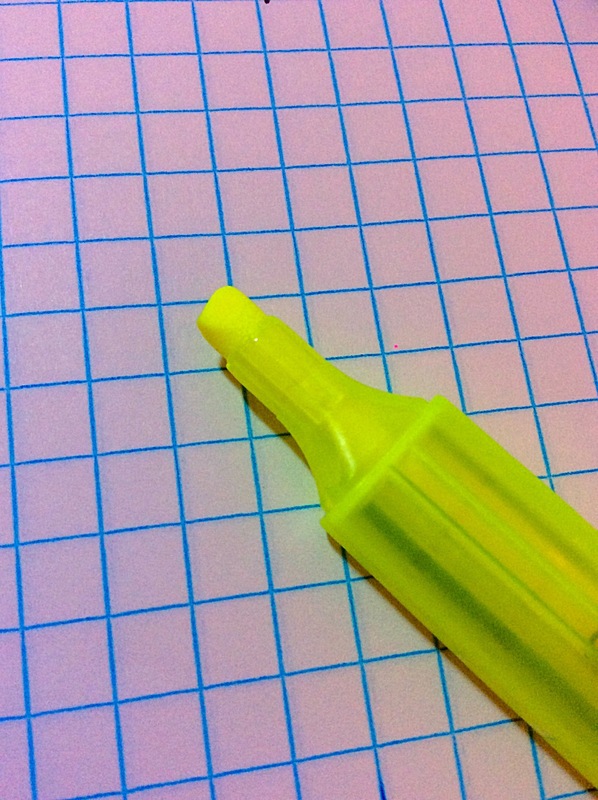 While the Noodler’s highlighter ink is bright, it is subdued and not so neon. The pink Platinum ink is also very fluorescent, but isn’t quite as bright as the orange. I am using the pink ink in a medium 05 Platinum Preppy fountain pen and the orange pen is in a Platinum Preppy limited edition Hello Kitty fountain pen with a fine nib. I really, REALLY like the fine nib for highlighting, but I prefer the medium nib for general writing. Overall, the Platinum Preppy fountain pen line is my favorite student line of fountain pens. Even more so than the Pilot Varsity fountain pens. Here you can see the difference in the nib size compared to the finer nibs in the Platinum Preppy pens. The italic nib is a lot broader and can easily be used to cover entire words and not just underlining. If I used the Preppy pens for highlighting entire words it would look more like strikethrough than highlighting. If you have never considered using fountain pens for highlighting, I highly recommend it! I prefer the precise lines of the fountain pen to the broader coverage of traditional and even gel highlighters. If you’re wondering if the ink bleeds through the onion skin paper– it doesn’t!! When I first wrote about my Noodler’s highlighter ink, it did bleed through, but that was because I pressed down too hard. If applying light pressure (like you would normally write) the ink doesn’t feather, bleed, or ghost. It’s also neater and more organized to look at! I bought my Platinum preppy and highlighter refill cartridges on JetPens.com for next to nothing! Under five bucks and you have yourself and awesome fountain pen and a potential highlighter! I ordered from JetPens last week for my husband (he is now the proud owner of a TWSBI Eco!) and added some Uniball Signo RT1 0.38mm pens to round out the order. I chose the colored bodies with black ink because I think these are the prettiest (PINK!) and I don’t really like colored ink aside from fountain pens. Although JetPens does have a huge selection of the colored pens with colored ink if that’s your thing. 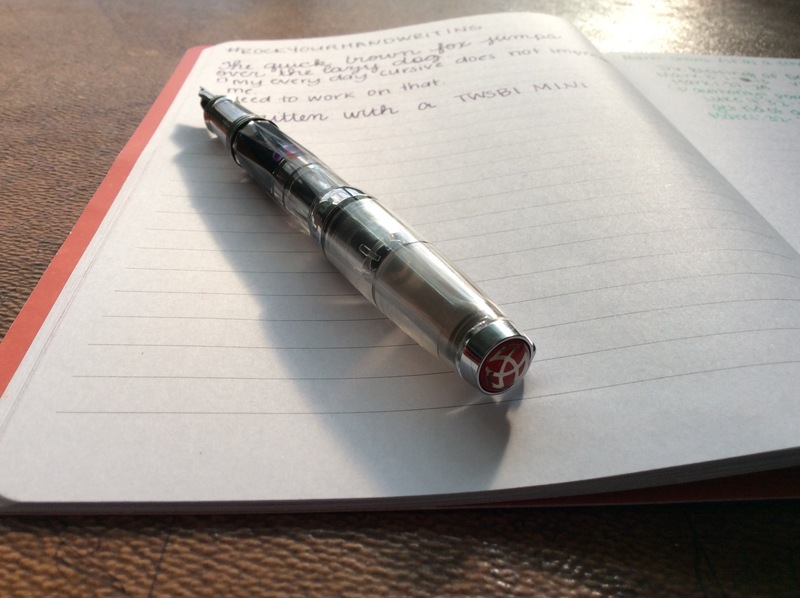 The 0.38mm tip is ideal for note taking in small spaces. I ordered these pens for bible marking and the smoothness of the design is perfect for writing on delicate onion skin paper. The body is smooth and plastic with a clicker clip. The grip is rubber and blends into the barrel making it comfortable to write with and not a bulky fit in your hand or pocket. I think the grip is one of the best things about these pens. You can tell it’s there, you can feel it’s there, but it’s not bulky or smooshy. These pens also take a Uni UMR-83 Gel Pen Refill (about $1.35 on JetPens…) so you can reuse the pen. That’s something I like to do when I get attached to a certain design of a pen. The ink flowed effortlessly as soon as I took off the protective rubber coating on the tip. It’s very dark, but not too wet, and since the tip is a finer tip it’s great for fitting in writing in those hard to reach spots. The pens feel durable, which is great for me since a lot of my pens get tossed into the bottom of my purse or used by my kiddos. I’m really looking forward to putting some mileage on these pens. I picked up a bottle of Noodler’s Violet Vote from Goulet Pens (.com) and it was the last and final run of this ink. Formerly known as “Iraqi Indigo”, this ink has some political charge behind it. You can check out some commentary here at this source. I learned about this ink while watching a Goulet Pens Q&A video on YouTube. I don’t have a purple ink, besides a teeny tiny bottle of J Herbin Moon Dust Purple. What better way to add some purple to my collection than a last run of something? I used my TWSBI Eco with a 1.1mm nib to try this ink. I wanted to use a broad nib to see the personality of the ink and to check the wetness. Like always, Noodler’s did a swell job on this ink. It is eternal, which means it’s FOREVAH. It’s permanent and great for those of you who work with documents. What I like the most about this ink is that it’s not too purple. I was worried it would be a bit “in your face”, but it’s a soft, delicate purple. It doesn’t have a lot of color variation, but I didn’t expect it to. The only con is that it smells like latex paint, but I knew it was going to smell funny before I bought it because a bunch of other people said the same thing. But they were right– it does! I tested this ink on Maruman paper, which is very smooth and fountain pen friendly. The ink dried quickly for as wet as it went down. It didn’t feather or bleed through– perfection! Goulet Pens has since sold out of this ink, but if you can get your hands on a bottle I highly recommend you do! It was one of those times where it was way past my bed time and I was internetting and reading blog after blog and I checked out a pretty neat place called Vanness Pens. I had heard of them, but I had never been to their website to check out their inventory. I am really glad I did because I found an awesome bottle of ink! When I received my package (after only two days of waiting!) it was filled with some extra goodies: a candy, an awesome sticker, and a sample of Noodler’s midnight blue! That’s why I like shopping with “mom and pop” and independent type stores– they always go the extra mile! It’s a bottle of Callifolio Ink in “Teodora”. It’s special to me because my mother in law and my daughter both share that name. Honestly, the ink could have been any color and I would have bought it. BUT, I scored because it is a REALLY pretty color of blue! The bottle is shaped like the Diamine 150th anniversary ink bottle: it’s a triangular glass bottle with a sturdy plastic twist on cap. The sticker on the front is minimal and it looks hand crafted, something that I adore about this line of ink. It’s a beautiful shade of blue-ish green. It dries very fast and is smooth. My pen seemed to enjoy it, too, because there wasn’t any skipping. It’s simple and fun. The color is a lot brighter than the sample Vanness Pens posted on their site, but they do tell you that in the disclaimer. I don’t know what I was expecting exactly, but this color surpasses it!